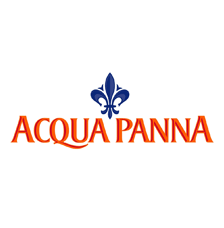 Acqua Panna is an Italian brand of bottled water. Acqua Panna takes its name from the Villa Panna in the hills of Tuscany, where the natural spring was first discovered. Appartenente al gruppo san pellegrino s.p.a.